Professor Peter Coaldrake is Vice-Chancellor and CEO of Queensland University of Technology (QUT), a position he took up in April 2003. Peter Coaldrake is a dual Fulbright Scholar; as a Postdoctoral Fellow in the field of politics/public policy (1980-1981), and as a Senior Scholar in the field of higher education policy and management (2001-2002). Professor Coaldrake is the author or editor of a number of books and monographs including, as co-author (with Dr Lawrence Stedman), of On the Brink: Australia’s Universities Confronting Their Future (UQP, 1998), Academic Work in the Twenty-First Century (DETYA, 1999), and Raising the Stakes: Gambling with the Future of Universities (UQP, 2013, with a second edition published in July 2016). Peter Coaldrake is the Chair of the Queensland Heritage Council, and National Chair of the Fulbright Scholarship Selection Committee. He also served as Chair of the peak body representing Australian universities, Universities Australia (UA), between 2009-2011, and in 2014 he rejoined that Board. 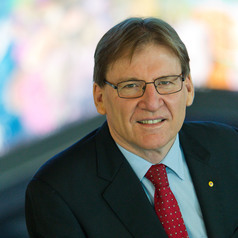 Professor Coaldrake was Chair of the Australian Technology Network (ATN), between 2012-2013, and recently completed a term as Chair of the governing board of the OECD higher education group (IMHE).